Each and every week tune in to what the guys from The 6ix discuss, from their views to their opinions, no topic left untouched.TallGuy & BigHead will entertain you, educate you. Explicit EP.52 Has The World Gone Mad? Explicit EP.47 I Want To Get Highhh!! Explicit EP.46 What Did You Do? Explicit EP.44 This Is An Outrage!! Explicit EP.43 I Speak In A Tone!! Each and every week tune in to what two guys from The 6ix have to discuss with their views and opinions. 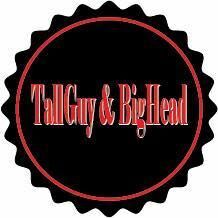 No topic left untouched.TallGuy & BigHead will entertain you, educate you, make you laugh and at times maybe even anger you! !